Who’s at fault when someone turns left without keeping a lookout, and someone else runs a red light? In this week’s case, Justice Crawford was asked to opine on liability in a collision where the plaintiff, turning left in a gap in traffic, was struck by the defendant as she tried either to squeak through a yellow light or just drove through a red light (Quiat v Armstrong 2017 BCSC 2155). The crash occurred at a t-intersection where motorists along the top of the T had to pass through traffic lights triggered by pedestrians, while the stem of the T faced only a stop sign. The plaintiff was a passenger in a vehicle that had driven up the stem of the T and waited at the intersection until a gap appeared in traffic flowing left and right across the top of the T.
The driver of the plaintiff’s vehicle took advantage of the perceived gap and turned left to join traffic flowing across the top of the T. Cars were backed up along the top of the T in both directions and appeared to the plaintiff and her driver to be at a standstill. Just as they turned, the defendant entered the intersection and the two vehicles collided, with the front left corner of the defendant’s hitting the passenger side of the plaintiff’s vehicle. 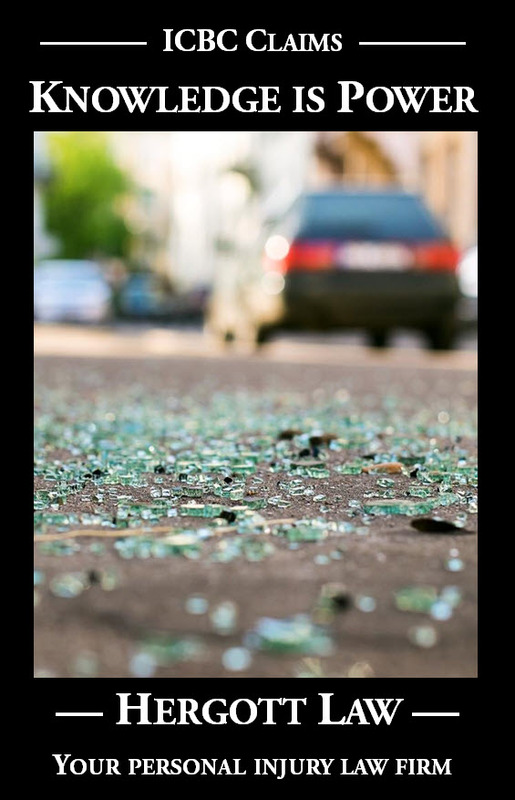 The plaintiff and her driver both said they hadn’t seen the plaintiff at all prior to the second the impact occurred, while the defendant also said that she did not see the plaintiff’s vehicle turning into her path until it was too late. Two separate scene witnesses testified that they had been sitting at the red light across the top of the T for a minimum of ten seconds prior to the collision. The only inference to be drawn from that is that Ms. Armstrong did not go through a light changing from green to yellow but in fact went through a traffic light already red as she approached from the east side and entered the intersection. However, Mr. Quiat was not regulated by a light. He was regulated by the stop sign. He did stop at the stop sign. His evidence initially was that he looked left and right as he started north going through a gap in the traffic. Mrs. Quiat said the turn was in one fluid motion. Later in his evidence, Mr. Quiat said he slowed to a stop and looked left and right a second time. There is an ongoing duty for him to keep a lookout. I do not accept his evidence that he looked to his right a second time as he was about to enter the eastbound lane of East 33rd Avenue. If he did so, he did so quickly, but he still failed to see the red Honda a short distance away and in so doing I find he was negligent in his lookout. I find the larger portion of fault lies on Ms. Armstrong for going through a red light. The smaller portion lies on Mr. Quiat for his failure to keep an adequate lookout. After consideration of all the circumstances I apportion fault 75% to Ms. Armstrong and 25% to Mr. Quiat.